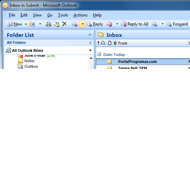 Reply to incoming Outlook emails using pre-made templates. 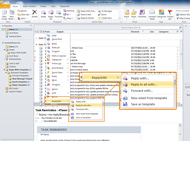 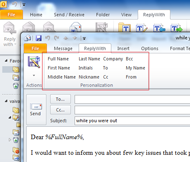 Manage selected templates (select to send, add to favorite, assign hotkeys, set as default, edit). 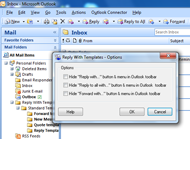 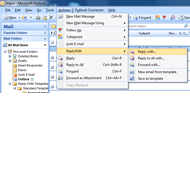 Easily accessible Reply With Templates command buttons on Outlook toolbar. 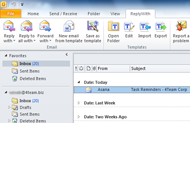 Send each e-mail personally to each or to all recipients. 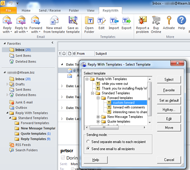 Reply With Templates is accessible through the right-click menu. 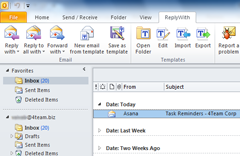 Organize Reply With Templates buttons on Outlook toolbar. 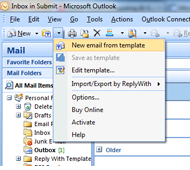 Reply With Templates is accessible through the action menu.